I, we, had hoped he would return. Robert Osborne had gone on hiatus from his hosting duties at TCM before and had always come back. Surely he would return again. But now we are told that he is gone forever and the world, especially the world of classic film, seems to have tipped on its axis. In his November 2014 profile of Osborne, New York Times writer Dan Barry likened him to "a Merlin" casting an enchanting spell as TCM's beloved and iconic inaugural host. Barry wrote, "He is a one-of-a-kind cinematic savant, cramming delectable tidbits into brief intros and outros, dissecting films with guests and conducting intimate interviews with stars..." And that is precisely what viewers held in such reverence as we watched and listened with rapt attention to the network's charismatic, omniscient "magician." Much as I admire Ben Mankiewicz and others who have taken on more as Osborne has been on-air less, I have deeply missed those "delectable tidbits" seemingly known only to our genial Robert O. In his NYT piece, Dan Barry noted that "TCM's executives would prefer to change the subject...than discuss a post-Osborne era, so completely does the man personify the TCM brand." The network has, however, worked valiantly to deal with Osborne's absence for most of this past year. And the network will, thankfully, survive. But we mustn't ever forget what we were so fortunate to have and what we have lost in Robert Osborne. Comedian Louis Virtel reflected on RO's passing briefly and to the point on Twitter today: "RIP Robert Osborne. 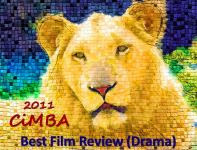 Wikipedia and IMDb are great, but they don't convey the zeal, connoisseurship, and care of movie buffs like Robert." Los Angeles Times and NPR film critic Kenneth Turan chimed in with: "So sad [about] Robert Osborne's death. A great and gracious gentleman. Hearing him talk [about] hanging out with Bette D. was a link to another age." And that was another facet of RO's amazing magic, he not only knew everything about movies, but he also knew everyone, from Bette to Hedy to Olivia to Lucy to Natalie and Robert to Liza to Sally to Alec - not to mention countless classic film fans. I seem to be one of only 3 or 4 TCM viewers who never managed to meet the man! 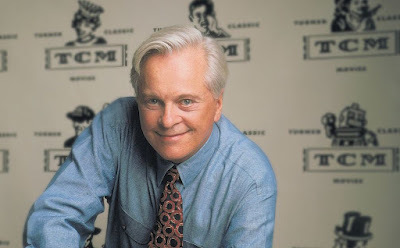 While I am beyond sad at Robert Osborne's passing, I'm also deeply grateful that, through TCM, we were able to enjoy and learn so much from him for more than 20 years. What a blessing! Whatever stars aligned to put the world's greatest channel and the world's most perfect host for that channel in the same orbit did us a great turn and we are forever grateful. How sad! I had not heard that he passed away. What a legacy of devoted fans he leaves behind. Yes, he has a left a hole in the heart of a legion of classic film lovers. Not a shock but very sad. 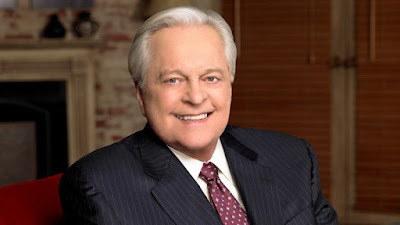 One would hope that TCM would, from time to time, program some of Robert Osborne's classic movie discussions and interviews, to keep that connection with the era that he celebrated and was directly a part of. He brought elegance and civility along with expertise, all things that we're in great need of these days. I imagine TCM will reprogram RO's discussions and interviews - they will become more historic and valuable as time passes. He was an old-school gentleman - as you note, a rarity nowadays. Beautifully done, Patty. Osborne was a treasure, the likes of which we will never see again. As long as TCM survives, he will always be there in spirit. Thanks, John. Yes, RO was a gem, unique in so many ways. He will always be a part of TCM in spirit - and hopefully also preserved for posterity in its archives. Beautiful and fitting tribute Lady Eve. He was so much the heart and soul of TCM that it has been difficult to adjust, especially now, without him. While I doubt they would do this, there is always the option of re-using his intros and outros (as you say), kind of like Charles Schulz' Peanuts is forever in my newspaper comics.Anyway, he helped make many people fans of classic movies. Thank you, Christian. Though Robert O has been less visible on TCM for the past couple of years, he was still with us and there was always the hope he would return. I'm looking forward to TCM's 48 hour tribute coming up this weekend. 48 hours of Robert Osborne, wonderful!